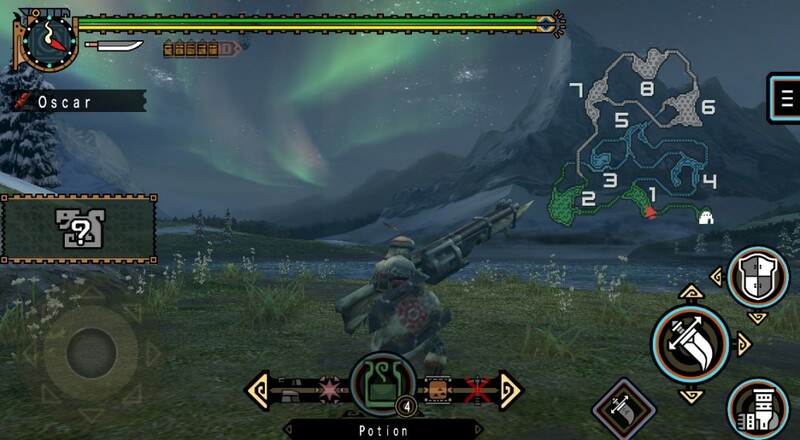 The 2014 release of Monster Hunter Freedom Unite for iOS did the nigh impossible when it adapted precision-based gameplay for greasy touch screens. It wasn't perfect, but hey, it was fantastic. The release of iOS 9 about a year later made Freedom Unite unplayable, so Capcom pulled it from the store. Sad face. It took some time, but the game has finally returned, just in time to compete with Monster Hunter Generations! For a time, it looked like Capcom had no plans to keep MHFU alive on mobile devices. When the game was pulled the company remained silent on the issue for months. Eventually, an announcement on the Japanese website announced a fix would arrive by spring 2016. May came and went, then Capcom said they encountered difficulties in preparing the patch and named July 10 as the for-real release. Turns out that was spot-on! The fix is now out in both Japan and North America, complete with online co-op for up to four players. The iOS release of Freedom Unite took the years old PSP game and gave it a fresh coat of paint for mobile devices. Graphical updates were just part of the package, as Capcom introduced several features to make the game easier to play via touch screen. Also, check out that slick new HUD. Pretty fetching, ain't it? The game is surprisingly playable without physical controls, though don't expect quite the level of accuracy you'd get with a gamepad in your hands. Page created in 0.3164 seconds.